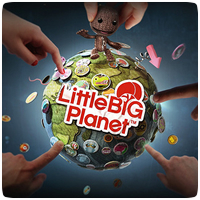 Sony has announced another version of LittleBigPlanet 2 for the PS3 launching next month. Dubbed LittleBigPlanet 2: Extras Edition, the updated version of the game will include the original game and additional DLC content to help you get started, including the recently released LittleBigPlanet 2: Cross-Controller Pack. 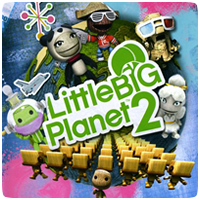 A new patch for LittleBigPlanet 2 is now available, updating the game to version v1.20 and adding cross-controller compatibility to the game. 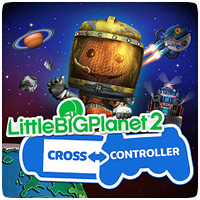 The cross-controller DLC will be available to download from the PlayStation Store from today, allowing you to control Sackboy on the PS3 using your PS Vita. Sony has revealed that the LittleBigPlanet 2 cross-controller pack will be releasing next week, allowing gamers to control the PS3 game using their PS Vita, as well as using the PS Vita’s unique features. The DLC will also allow the PS Vita to be used as a second screen when playing the game. I on the PS3 has a new patch available for download, brining the game to version v1.17. Like the latest LittleBigPlanet PS Vita patch, this update focuses on the cross-buy feature for downloadable content across the different LittleBigPlanet titles, including upcoming title LittleBigPlanet Karting. Steven Isbell, Community Coordinator for LittleBigPlanet, has revealed that costumes purchased in LittleBigPlanet 2 will be cross-compatible with titles including LittleBigPlanet on the PS Vita and LittleBigPlanet Karting. This means that gamers will be able to use their purchased costumes across any game at no extra cost. 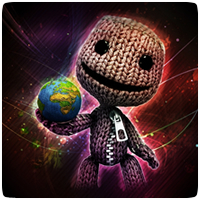 Last night, the seven millionth level was published to the LittleBigPlanet servers. It’s been nearly four years since LittleBigPlanet was first released and the game is still going strong. With LittleBigPlanet for the PS Vita on the way soon, this number will continue to grow. A dedicated LittleBigPlanet and The Last of Us fan has recreated the original “The Truck Ambush” trailer for The Last of Us. 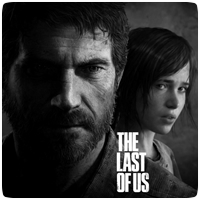 “I take the LittleBigPlanet 2 engine, once again, and remake the jaw-dropping and ground-breaking experience Naughty Dog is crafting for us called ‘The Last of Us’,” said YouTuber TheClassicEvil. In celebration of Summertime and the lovely weather, MediaMolecule have released a free Summer Creator’s Kit for LittleBigPlanet 2 on the PlayStation Store. The kit contains 26 Stickers, 4 Objects, 4 Decorations and a brand new Material, but will only be available for a week. From tomorrow, PlayStation Plus subscribers will be able to grab Stranger’s Wrath HD, inFamous 2, MotorStorm: Apocalypse, LittleBigPlanet 2, Virtua Fighter 5: Final Showdown, Renegade Ops, and a number of other games, all for free. SCEA announced a similar selection of games for North America at last night’s E3 Press Conference.